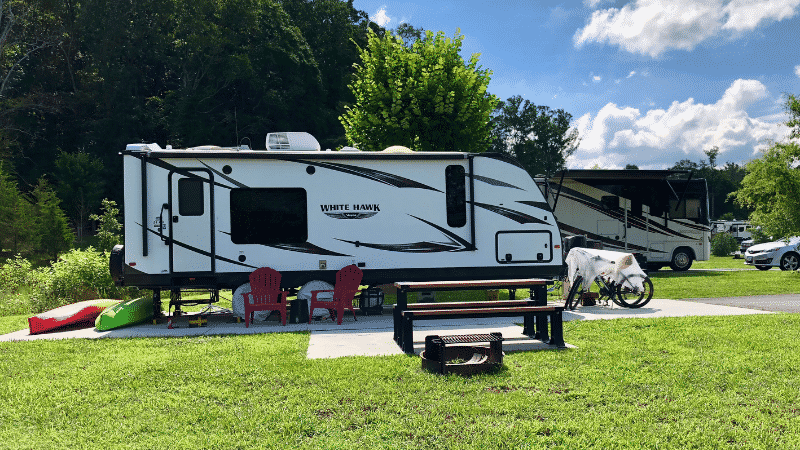 If you’ve just purchased a travel trailer, then the feeling of anticipation and excitement to get out there and go RVing is probably palpable. That’s great! You should be excited. You took a step towards making your dreams and goals a reality. However, don’t let your excitement get you ahead of yourself. You’re still new to RVing, and over the course of your first few trips, you’ll probably learn a lot of new lessons and have many more unique experiences than you originally thought. To help make your experience owning a travel trailer more enjoyable, here are some tips. 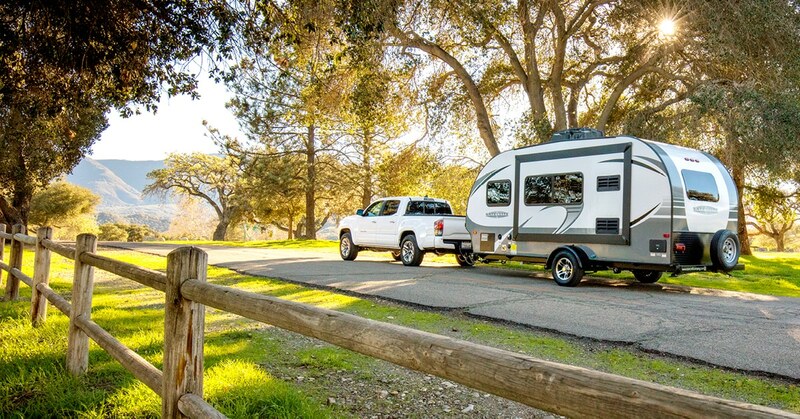 Towing a travel trailer isn’t extremely difficult, but it takes a little time to learn. Don’t let the first time you go camping also be the first or second time you’ve towed your RV. You don’t need to practice every day, but consider going out for a few drives, especially when you first buy the unit, to really get a feel for how it tows. Try to challenge yourself to see if you can park it easily, take tight turns successfully, and just generally drive without stressing you, your passengers, or other drivers out. If you know you have an area of towing that you’re not very good at—like backing up—then consider just practicing that. It can be really easy to bring too much gear and supplies with you. When starting out you may have a tendency to overpack. 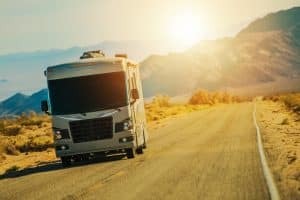 That’s okay as long as you’re within the weight limits of your travel trailer and your tow vehicle, but you’ll often find the fewer things you bring along, the less there is to worry about. Camping is supposed to be fun, so try to make it as worry-free as possible. For many, including myself, that means trimming down my list of gear and supplies to the minimum, so there’s not a bunch of extra stuff to worry about. To do this, I’d start by compiling a list of everything you think you might need. Then take another look at the destination you’re going to, the weather during the time you’ll be there, and the people on your trip. Try to eliminate any unnecessary items. I had a friend who said to eliminate half of your original list. I don’t think you need to go that extreme but consider cutting down on your list significantly. 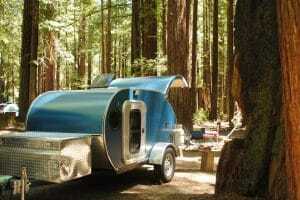 Researching a destination is an absolute must when traveling with a travel trailer. You need to, first of all, make sure a place is somewhere you actually want to spend some time. Then you need to make sure your RV will be welcome in that area. What I mean by that is find a campground or place to park that can easily accommodate your rig. Many campgrounds have limits on the overall length an RV can be. Also, most only have a limited number of spaces available. That means you should make reservations whenever possible and have a backup place to stay if your first option doesn’t work out. This is probably the most important thing for new owners of travel trailers. You need to learn how to properly use and maintain your RV’s different equipment. By design, RVs have many different appliances and electronics from your home. They’re not major changes, but you don’t want to be trying to figure these out while you’re supposed to be having fun camping. Spend some time in your driveway testing out all your appliances and electronics on the RV. 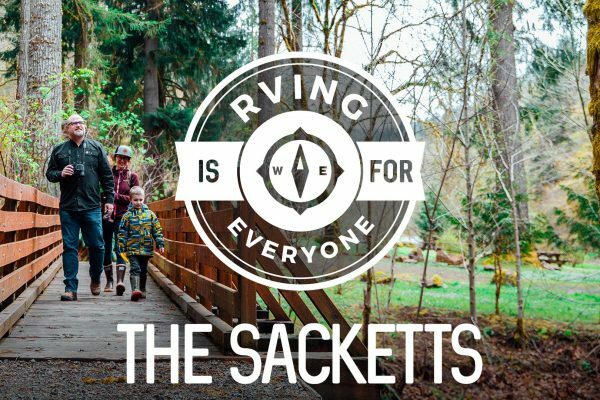 Consider doing a test run of your RV’s sewage system before you actually go camping so you know exactly how it all works. The more time you spend learning these things before you set off, the more time you’ll have to enjoy yourself and relax when you actually go camping. It’s spring as I write this, and I know you’re probably thinking I shouldn’t be discussing storage. Here’s the thing, winter will come again. 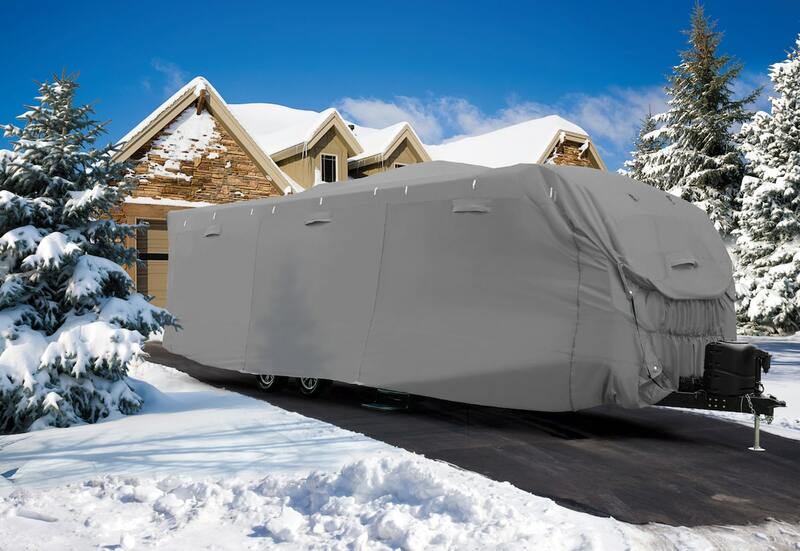 I know it’s months down the road, but you need to have a plan for where and how you’re going to store your RV well ahead of time. If you wait until the weather starts to turn, it’ll be too late, and you could get stuck with an expensive option. Also, unless you’re full-timing, you’re not going to be using your RV all of the time. That means you need a place to temporarily store it during camping season. Some people can park it in their driveway or backyard, but that’s not the case for everyone. Have a place to put your RV and one that’s preferably out of direct sunlight or exposed to all of the elements. I’m not saying it has to be parked inside a large garage, but try to mitigate the effects nature will have one it. Do you have anything you think should be added? Leave a comment below!